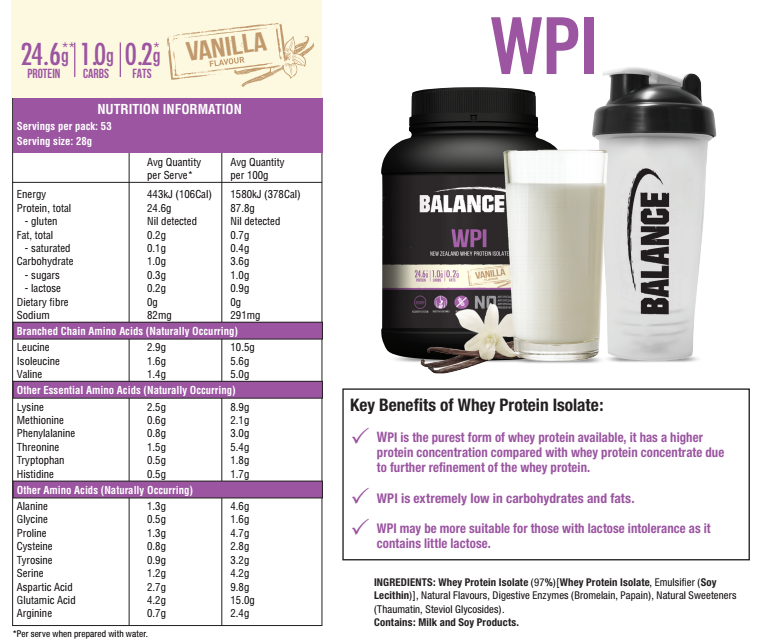 Balance WPI New Formula is high protein, low carb and gluten free. It combines instantised, New Zealand sourced Whey Protein Isolate with added natural digestive enzymes, Bromelain and Papain. This formula maintains a low fat and low sugar content without artificial additives to enhance your sports nutrition needs.